This Friday, 1st December, sees the concluding evening of the inaugural Paddy Power Poker UK Tour, a series of poker events designed to cater for the more modestly financed poker folk of this country. 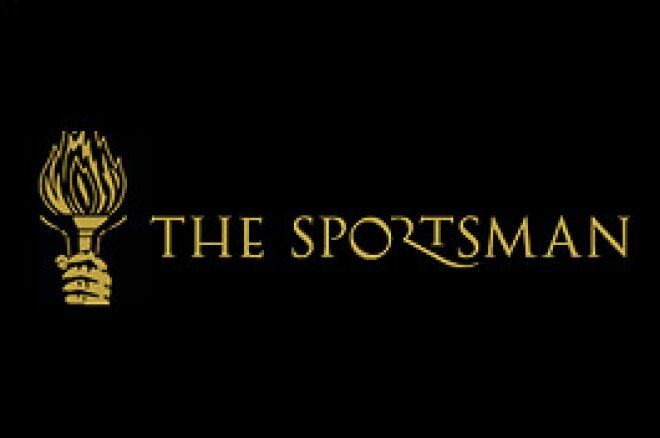 The Sportsman Casino in upmarket Marble Arch, London, will play host to 80 players battling it out at the poker tables in a £100 + £10 buy-in No Limit Texas Hold'em Re-buy tournament with prize money boosted by £1,000 thanks to the sponsor's generosity. Players will be keen to make the final table as every one of them will have the chance to gain access to the €2,000,000 Guaranteed Paddy Power Irish Open 2007! The outright winner of Friday night's event will have a direct entry ticket worth €3,500 to that classic tournament in Dublin, but, for the other finalists, Paddy Power Poker is also granting automatic entry into a special online tournament to win another Irish Open 2007 ticket worth €3,500! Its conclusion in London should bring to a close a successful exercise in taking poker to the people of the UK and, from the sponsor's perspective, adding to the already respected name of Paddy Power in the world of betting, gaming and leisure outside of its native Ireland. UK Poker News will be at the Sportsman on Friday, hoping above all else for a free ticket into the Irish Open (by way of winning, we hasten to add!). We look forward to reporting back on what goes down. Anyone who is interested in playing on Friday will have to move quickly as each previous date on the tour has sold out sharply. Players are advised to pre-register for this £100 Re-buy event to ensure a place. To repeat, capacity is limited to 80 players. The venue is The Sportsman Casino, Old Quebec Street, London and takes place on Friday 1st December, 2006. Book of Dead: Play Online and Win Real Money! Global Poker Index Announces the Global Poker Masters: "It's Going to Be Poker's World Cup!" The $50 Million Royal Poker Challenge -- Real or a Hoax?